Earlier this year, brp architects attended a CPD presentation by the Green Building Store, which provided an introduction to Passivhaus design and specification. Passivhaus is a demanding, albeit voluntary, certifiable standard for designing energy efficient buildings. Originating in Germany in the early 1990’s, and driven by scientific methods, the approach has the ultimate goal of producing high levels of comfort to the internal environment for occupants, whatever the building type, coupled with minimal energy requirements for heating and cooling. Space Heating (and / or Cooling if applicable) Energy Demand: is not to exceed 15 kWh/m2/year of net living space. Primary Energy Demand: must not exceed 120 kWh/m2/year. Airtightness: a maximum of 0.6 air changes per hour at 50 Pascals pressure. Thermal Comfort: internal temperature to all living areas is not to exceed 25oC for more than 10% of the year. So what does this actually mean in terms of comparison with ‘standard’ housing? 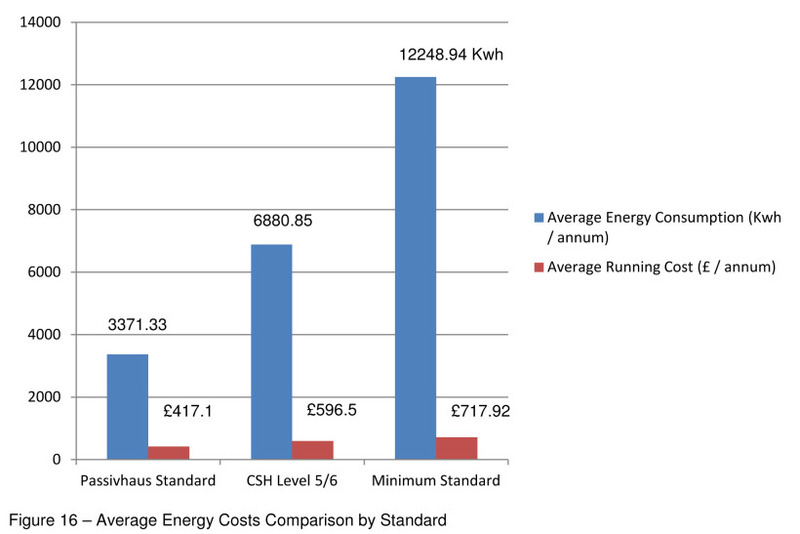 The diagram below assists in setting the energy consumption and on-going running costs of a Passivhaus against both a Code for Sustainable Home Level 5/6 equivalent and a Building Regulations compliant standard property. Essentially the concept is borne out of adopting an energy efficient approach from the outset, utilising a fabric first ethos instead of being reliant upon ‘bolt-on’ technologies to achieve a sustainable development. Dedication to the design of the building envelope, considering each and every detail to maximise optimum thermal performance and minimise air leakage, ensures not only a quality build but also significantly reduced running costs. In 2015, Dún Laoghaire-Rathdown county in Ireland, voted to include Passivhaus (or similar) as a minimum standard for all new build commercial and residential developments, in an amendment to the draft county development plan. This follows a stance already initiated in some major cities across Europe, with Passivhaus already being stipulated as a minimum standard for all new buildings in Brussels, as well as all public buildings in both Frankfurt and Oslo. So…if everybody else is looking at adopting this approach, should the UK be following suit and be looking to introduce Passivhaus in a more widespread manner? Passivhaus is designed to increase the comfort of the residents / occupants every single day of the year. This is principally achieved by ensuring there are minimal temperature differences across the seasons – all through maintaining a consistent internal temperature resulting from the specialist design of the building envelope. Significant reductions in air leakage at perimeter junctions and increasing the thermal performance of the external envelope, whilst maintaining fresh air supply / extract via the MVHR allow the building to retain heat in the winter as well as avoiding overheating in the summer – all contributing towards a lesser demand for space heating. As such, occupants will generally benefit from lower monthly energy bills and reduced CO2 emissions. 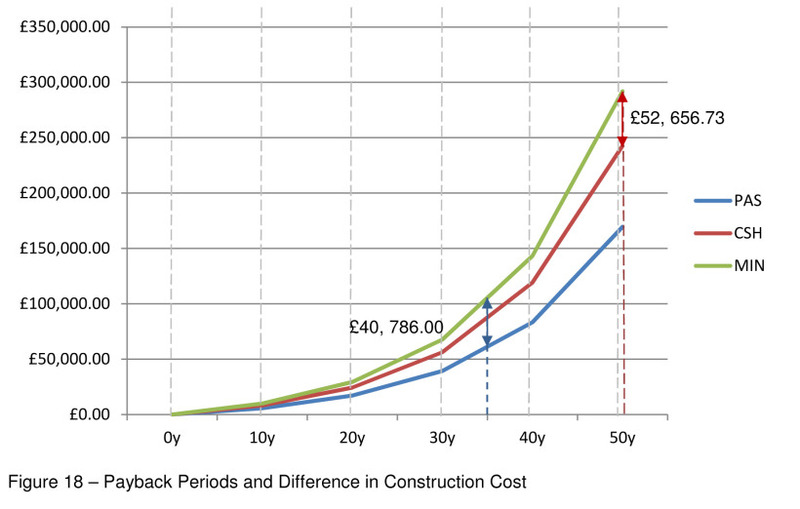 In some instances of the Passivhaus standard being adopted for affordable housing developments there have even been anecdotal reports of zero arrears in terms of income stream – something that is extremely rare for the Social Housing sector, so there are clear benefits in terms of on-going costs not just to the occupants but also landlords as well. In addition there are potential health benefits to occupants, associated with the use of the MVHR system. Filters can be fitted to incoming air inlets, which will specifically block allergens and can provide a more hypoallergenic environment than a standard house. This can be particularly beneficial for hayfever sufferers, who might not be able to open the windows during the spring and summer months. Continuous supply of fresh air, with a minimum of 75% of the heat from extracted air being transferred to fresh air via a heat exchanger. Minimising air leakage through the building fabric, with any gaps to be smaller than 0.6 of the total house volume per hour during a pressure test at 50 Pascals – both pressurised and depressurised (note: the current Building Regulations state; maximum of 10.0 air changes per hour at 50 Pascals, although 5 is normally considered to be ‘standard’ practice). Design to avoiding Thermal Bridging:Full consideration to be given to any edges, corners, connections and penetrations of the building envelope, avoiding thermal bridges wherever possible. Those that cannot be eliminated should be minimised. 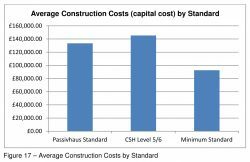 There is recent evidence to suggest that building to Passivhaus standard does not have to cost prohibitively more than building to the Building Regulations. However, further case studies have also identified that building to Passivhaus does not have to cost more. For example, Beattie Passive (http://www.beattiepassive.com/system.php) have developed a standardised approach to a timber frame house which costs 0% more than traditional construction, built to Approved Document L (2010) and Architype, a leading Passivhaus designer in the UK, are reporting Passivhaus properties that are in fact 4.5% cheaper than building to BREEAM ‘Very Good’. 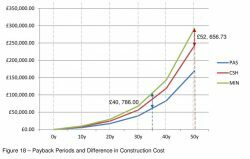 As expected, developments in the technologies, the wider availability of alternative products / manufacturers and the increased knowledge derived from the learning curve associated with Passivhaus are driving are economies in scale and leading to the more cost-efficient delivery of fully certified schemes. Can I just put a solar panel on the roof? In short, no, the principles of Passivhaus are not to simply offset the energy usage with supplemental ‘green’ energy, instead it is all about reducing the energy required in the first place. This is not to say that additional ‘bolt-on’ technologies do not have their own benefits though. As outlined above, there are significant reductions in CO2 emissions by adopting the Passivhaus standard, however, the addition of further solar panels to provide electricity and hot water can effectively make buildings truly carbon neutral. Is it possible to have a Passivhaus retrofit? Specific Energy Demand: is not to exceed 25 kWh/m2/year of net living space. Primary Energy Demand: must not exceed 120 kWh/m2/year. (covers total energy to be used for all domestic applications – i.e. heating, hot water and domestic electricity). Airtightness: a maximum of 1.0 air changes per hour at 50 Pascals pressure, although targeting 0.6 as per Passivhaus. Preference for use of Passivhaus technology / building components, i.e. Passivhaus certified windows and doors etc. However, if the building cannot reach a heat demand of only 25 kWh/m2/year there are certain dispensations that can be applied. For instance, so long as the U-values of the principal building components, i.e. walls, roof, windows and doors, accord with the specific design criteria then it may still be possible to achieve certification under EnerPHit.